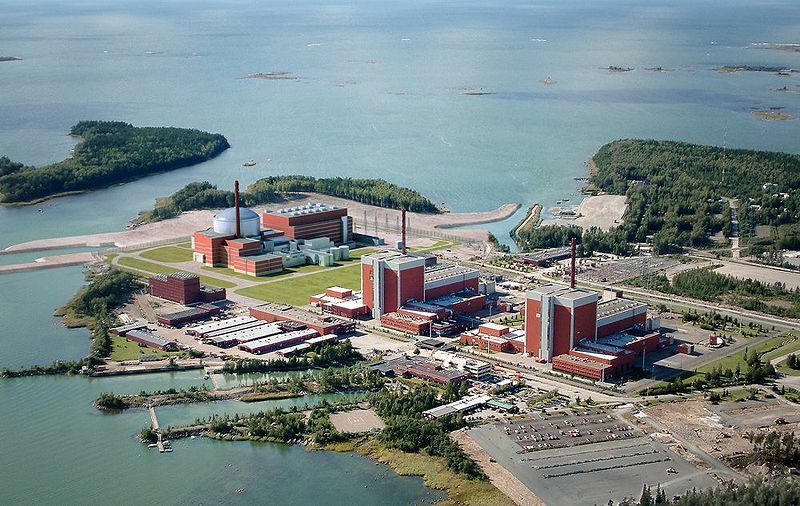 Yesterday, Finnish parliament granted the permission for building two more nuclear reactors, despite the fact that the currently on-going project to build the new Olkiluoto Nuclear Power Plant has overshot its budget and has been greatly delayed. In addition, the Finnish authorities have expressed doubts about the safety of Olkiluoto's nuclear reactor. On a Wikipedia page that lists world's most expensive single objects, Olkiluoto power plant is currently number 11. For the same price, 40 000 wind power stations which each would produce 5 megawatt of electricity could have been built, according to Martti Hyvönen, the environmental director of Helsingin Energia. This amount would be enough to create a chain of wind power stations around the Earths perimeter, one station per every kilometer. Michael Madsen made a documentary film Into Eternity about the underground repository where the nuclear waste will be stored, supposedly for the next 100 000 years which is the time it will remain hazardous. A screening of this film was organised for the Finnish parliament members (but I wonder how many came to see it). If we look into history, it's difficult to find man made objects which would have survived even 10 000 years. Perhaps Finnish parliament should also have consulted The Long Now Foundation on this topic. The organisations and activists who were against this decision came up with one innovation - to ask people to make a commitment to vote for a person in the next parliamentary election who this time casted a vote against building more nuclear stations (see www.ydinvoima.fi). In a short time, more than 30 000 people have made this commitment. This is one example of what we will see more in future: since governments are reluctant to organise public referendums on important decisions (for example on issues that will affect Finland for a very long time in future, far beyond the 4 year election cycle) then other actors in the society will use social media tools to gain more power for the public opinion.